EarlyON providers and the Region of Peel are doing a review of EarlyON programs in Peel. Please complete this survey to share your experience. The survey will take about 10 to 15 minutes to complete. Your answers will help us understand how EarlyON programs help families with young children. The information you provide will help us continue to provide high quality programs and services to families in Peel. You will have a chance to win one of ten $50 VISA gift cards for completing this survey. Please complete the ballot at the end of the survey to enter the draw to win a prize. Your privacy is important to us. Your answers will be grouped together with answers from other parents/caregivers who complete the survey. No one will be able to tell which answers are yours. The information you provide in the survey will be sent to the Region of Peel to analyze and write a report. Your participation in the survey is voluntary and you may choose to stop at anytime. We are looking for parents and caregivers to participate in focus groups. Please complete the Volunteer for a Focus Group section at end of the survey. 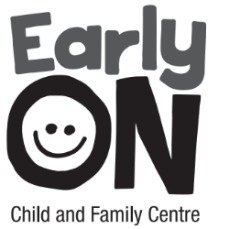 EarlyON programs: Any type of program (drop-in or registered) that you participate in OR any service you receive (e.g., referrals) at an EarlyON location.